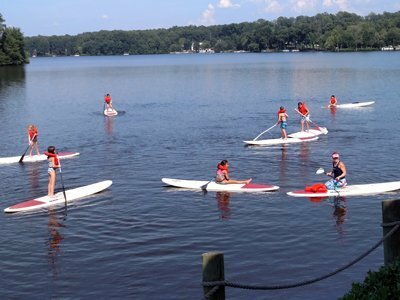 Camp Woodlake – Woodlake: Life on the Lake! Did you know that there is a Guinness Book of World Records just for kids? We will investigate some of the oddest records held and try some ourselves. We may even try to set one for Camp Woodlake! Aloha! Turn up the island tunes and grab the sunscreen, because this week we’ll be having fun in the sun while learning about the ocean through games, art, science, and cooking. Step right up! Come on down! The carnival rolls into Woodlake as we celebrate the last week of summer camp. A favorite week for all our clowns, lion tamers, and ringmasters alike, we pull out all the stops under the big top. "High energy, enthusiastic counselors with a great combination of skill building and wacky activities!" "Absolutely the best summer camp!! The activities and the counselors are amazing. The kids had a fantastic experience this summer. Thank you so much!" "My kids did 4 out of the 5 camps. Even on summer vacation they wanted to get up and get to camp. Noel, Drake and the other counselors did a fabulous job of keeping them entertained all day. A big thanks and see you next year." 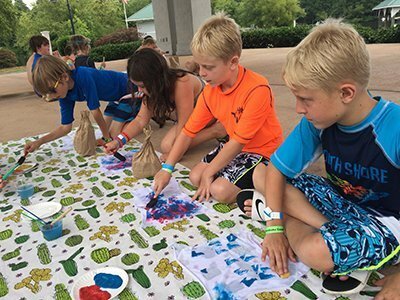 "My kids absolutely adored the Woodlake camp and the themes!" "Noel and the counselors are fantastic. My kids enjoy camp. Even waking up early on summer break." "My son really enjoyed camp Woodlake. Everyday when I picked him up he was raving about the wide range of super fun activities that kept him busy playing all day long. I loved that it was a small enough group of kids that he made new friends and the counselors looked like they were having as much fun as the kids. He was able to spend a lot of time at the pool playing games which was awesome, as well exploring new activities (tennis, volleyball, archery, etc). I would definitely recommend Camp Woodlake and sign my kids up for it again in the future. Thank you!" 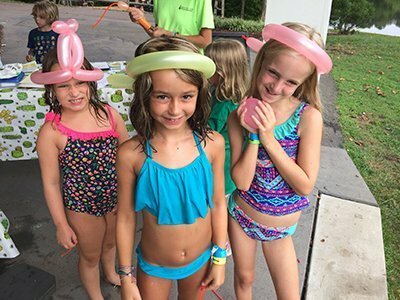 "My girls look forward every year to coming to camp at Woodlake. They have the best time, make new friends &amp; they are completely exhausted every night from all the fun activities!!" "Woodlake camp is amazing! The staff is wonderful with the children and the activities can’t be beat! Best camp around!" "The counselors set such a positive upbeat vibe. It is the first camp Josie has ever gone too that she was excited for every morning. She never complained about one thing (which is saying a lot). She is excited for next week!!!" "As a new resident of Woodlake, this was a great opportunity for my boys to get to know their neighbors. They loved every single day, and whenever we'd ask them how it was, their response was: It's a 10 out of 10!." "My children come home extremely happy and wake up super excited to go to camp each day. I am thrilled that they are making such wonderful memories and meeting so many amazing new people!" "Both girls said it was the BEST camp ever! They love swimming and the food!!" "My children loved Camp Woodlake! My oldest daughter literally cried when I told her that she wasn't going back. We're going to OBX instead but apparently that doesn't compare to Camp Woodlake! I will recommend it to all of my neighbors. The counselors were awesome. Every day, I knew that our girls would be safe and come home happily exhausted. Couldn't ask for more!" "My two children really enjoy their time at camp. The activities leave them very tired at the end of the day." "Our kids had a blast. They looked forward to going everyday."